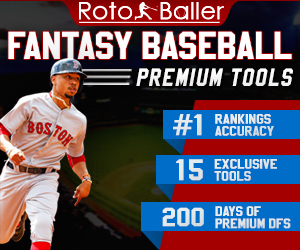 The byes are almost done, except that the two teams missing from this week's slate account for half of the starting lineups of the most successful fantasy teams. If anything, this might be a chance for fringe contenders to gain a leg up on their league's powerhouse teams that are missing their Rams and Chiefs. A few interesting names cropped up this week as potential waiver adds, so this may be the ideal time to assess your roster depth in case one of these players could provide more upside down the stretch. 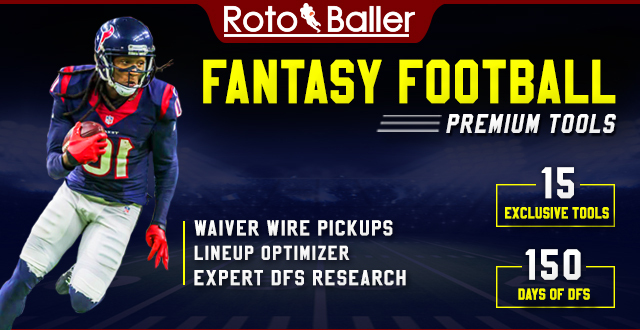 In this weekly waiver wire series, we provide a curated list of fantasy-viable players that are typically owned in less than half of all fantasy leagues, so that you can make an educated decision about who to add or claim that might be available in your league. This is not meant to be an exhaustive list of all eligible players that could be picked up, nor is it ranked in priority order - that's what our Lightning Round is for! These are also not all strict recommendations to add, simply a list of options. 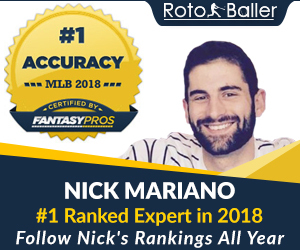 As always, it is up to you, the fantasy owner, to see who's available in your league and make the best-educated decision possible. Let’s look around the league at the players who may be worth adding or bidding on as we move on to Week 12 of the 2018 NFL season. 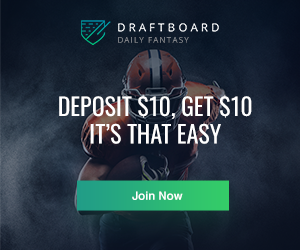 Be sure to also check out our other waiver wire articles, including FAAB auction bidding recommendations, for even more in-depth analysis an all positions heading into Week 12. Too bad Mayfield wasted his dangerous mood during a bye week. We'll see if he still has that swagger entering a road matchup with divisional rivals Cincinnati in Week 12. Mayfield is coming off his best game of the year, having tossed three touchdowns while completing 17 of 20 passes. The Bengals have terrible on defense lately, giving Mayfield another choice matchup in which to showcase the skills that made him the top overall pick in last year's draft. Be aware that he has only gone over 300 yards once this season, back in Week 5. The ceiling isn't sky high yet but the matchup is nice enough to make him a viable streamer. Manning was efficient if nothing else against the Bucs, completing 17 of 18 passes for 231 yards and two TD. His fantasy day was capped by the excellence of Saquon Barkley, who scored three times inside the red zone. Manning has a much tougher matchup in Week 12, facing the Eagles on the road. He should be downgraded to low-end QB2 status and only rostered in the deepest of leagues, as the Giants' schedule gets brutal down the stretch. After two weeks of intrigue, it was confirmed that Jackson would get his first NFL start and actually get to pass the ball. 14 running plays later, they actually took the leash off. The Ravens made a concerted effort to keep the ball on the ground and play it safe with their rookie QB but that worked to his benefit. Jackson wound up throwing less than 20 times for 150 passing yards with no TD and one INT. It was on the ground where he made his hay, racking up 117 rushing yards. It's unclear whether Joe Flacco will be ready to return soon, but if not Jackson is an interesting option again based on his dual-threat ability. The fact they will face the Raiders is enough to thrust him into consideration as a top-20 fantasy QB. Here we go again... The revolving door at QB in Tampa keeps spinning, this time with Winston back in command. He nearly led a comeback victory over the Giants, throwing for 199 yards and two touchdowns in one half of play. Of course, he also turned it over twice, getting bailed out in the end zone by Mike Evans, who fell on what could have been a crucial fumble before the goal-line. With the Bucs well out of the playoff race, there's no reason to stick with Ryan Fitzpatrick any longer, so it should be Winston starting in Week 12. That said, he's going to have the shortest leash possible and is just a pair of picks away from a benching. The upside is tangible, however, in a home matchup with the 49ers, making him a huge boom or bust play if you have the cojones to start him. Maybe Alex Smith's injury is a blessing in disguise for the Skins. Stepping in to relieve the injured starter in the third quarter, McCoy threw a touchdown on his first pass, then showed off his wheels by picking up some key first downs and led another scoring drive. McCoy ended his day with 54 passing yards and 35 rushing yards. He doesn't have a lot of promise in single-QB leagues this week, as a short week to prepare for Dallas on Thanksgiving is a tough task. His running ability may give him some interest in deep superflex leagues if you have to replace Mahomes or Goff, or as a tournament play on the Thursday slate. Maybe now Doug Pederson will make good on his promise to give Adams more touches. Adams only touched the ball 10 times against the Saints and turned in 72 yards with a touchdown. Negative game script, to put it kindly (Philly got whooped), kept the running game mostly inactive but we saw the potential Adams brings in this offense. He'll remain part of a committee, although it would be surprising if he doesn't take the lead. Adams should have an easier time against the Giants next week and should be added in all leagues. Burkhead hasn't played since Week 3 when he injured his neck and landed on the Injured Reserve list. He's back at practice and is questionable to return this week. The presence of Sony Michel and James White complicates things, however. Burkhead will likely see sparing usage and should be considered a handcuff in the event Michel suffer another injury. The Jets are coming off their bye week and could look to get McGuire more involved in the offense. He's seen exactly nine touches the last two games since coming off IR, averaging a healthy 4.4 yards per carry and 10.7 yards per reception. He has been targeted 11 times in those two games and could see more passes his way as the Jets must face the Patriots in Week 12. PPR owners can consider McGuire for a flex spot this week or as RB depth down the stretch. Here's another reminder that Foreman's return is imminent. He officially practiced last Wednesday, opening up the 21-day window for him to be activated. You can never have too many running backs, especially one from a powerhouse college program who finished eighth in Heisman voting two years ago. Foreman's workload is a huge question mark and Houston is simply an average run offense, so only add him if you have space and aren't dropping someone that could see your starting lineup in the next couple of weeks. Remember Javorius Allen? Say goodbye to his fantasy value, as he's effectively been replaced by another running back in Baltimore and it's not recently acquired Ty Montgomery, who didn't see a carry or reception in his first game as a Raven. Edwards, an undrafted rookie and former Miami Hurricane, had just 15 carries all season before his breakout performance. Edwards took 17 carries for 115 yards and a TD against the Bengals. Alex Collins only toted the rock seven times for 17 yards. It's a big leap to assume Edwards will be the RB1 in Baltimore the rest of this year but this type of output can't be ignored. Edwards won't be a factor in the passing game and doesn't necessarily warrant a top waiver pick in PPR leagues but those seeking running back depth in standard or half-PPR leagues should be interested. You wouldn't be blamed for putting a high bid on a potential RB1 at this point in the season, especially when Oakland is on deck. It came a bit later than expected but the D.J. Moore breakout happened. The talented first-rounder went off for 157 yards and a touchdown on seven receptions in Week 11. Other than his huge letdown game against Tampa in Week 9, Moore has been targeted at least five times each of the last six games and has as high a ceiling as any WR available in more than half of fantasy leagues. Next week's matchup with the Seahawks will be tougher, although the Panthers will be at home. 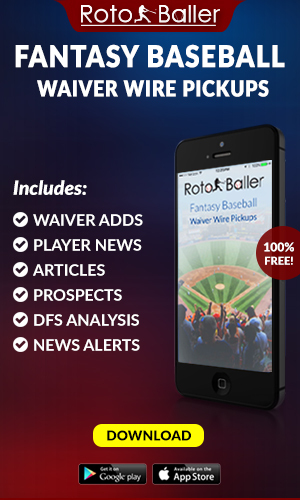 Regardless of whether you want him in your lineup next week, he shouldn't be left on waivers. Kirk scored his third touchdown of the year on a 59-yard scamper after the catch, finishing with 77 yards on three receptions. The Cardinal offense keeps improving gradually and Kirk is the #2 target in Arizona. His big-play ability keeps him in flex consideration each week. This is why you stash talented players when they're hurt. Coutee came back for his first game since Week 7 and led the team in all receiving categories, except touchdowns. Yes, he was targeted more than DeAndre Hopkins and finished with the same number of receptions (five) and more yards (77) than Hopkins (56). Demaryius Thomas wasn't a factor either, failing to catch his lone target. Coutee figures to be a high-floor WR3 in PPR leagues and has the speed to be a home run threat each and every week. 10 catches, 157 yards, one touchdown on 13 targets. Those aren't the numbers Michael Thomas put up in Week 11, but that of the rookie Smith. Of course, this comes on the heels of a scoreless outing last week when Smith wasn't even targeted in an easy matchup with the Bengals. His upside is tremendous, as we've seen in two huge games so far this season, but the unpredictable nature of Sean Payton's offense makes him a frustrating lineup decision each week. A home matchup with the Falcons sounds like the perfect platform for him to shine but he didn't register a catch in the Week 3 matchup with them and could easily disappear from the offense again. Nonetheless, he should be owned in most 14+ team leagues based on his high ceiling. With the explosion of youthful receivers bursting onto the scene, it's easy to forget about Garcon. He's played just one game in the past month due to injuries and a bye, but should be good to go for Week 12. Garcon seemed to click with Nick Mullens, going for 56 yards and a TD in that Monday Night game. The matchup with Tampa Bay this week provides a great opportunity for Garcon to be an under-the-radar waiver savior for those looking for a boost. Whoever is at quarterback for the Bucs shouldn't change the fact that they will continue to fire away to multiple receivers. Humphries has seen fewer targets the last couple of weeks but managed to find the end zone and come away with 60 yards in their most recent loss to the Giants. If O.J. Howard's ankle injury keeps him out of a Week 12 tilt with San Fran, Humphries could see WR3 value. Ross scored his fourth touchdown of the year, somehow operating as a red zone target again rather than a field stretcher. We still haven't seen the explosive speed at work, as Ross is averaging 13 yards per reception and just over 20 yards per game. The floor is pretty low for Ross but if A.J. Green doesn't suit up again, Ross can be considered in standard leagues. How is Zay Jones not owned in more leagues.... is something nobody has said for the past two years. But now it might be time to consider the Barkley-Jones connection (not to be confused with Montana-Rice) is real. Matt Barkley had a nice game in his Bills debut, albeit against the Jets. If he can come close to recreating his efficiency against the Jaguars, it would be a minor miracle. Still, he will probably make Jones his primary target again and could provide the second-year WR with a few receptions. He really shouldn't be started anywhere in Week 12, but gets to face the Dolphins and then the Jets again the following two weeks. Early in the year it was Ryan Grant who gained a little attention from fantasy owners as one of Andrew Luck's primary targets. He appears to have been replaced by Inman, who has drawn rave reviews from Luck himself since he first set foot in Indy a month ago. In three games as a Colt, Inman has 14 catches, 127 yards, and a touchdown. With so much scoring potential the way Luck is playing, Inman can be plugged into PPR or standard league lineups as a flex play as the Colts take on the Dolphins in the comfort of the dome once more. The talk of T.J. Jones and Brandon Powell as possible replacements for Golden Tate were overstated. The team went out and added Ellington, formerly of the Texans, and he immediately stepped in to catch six passes for 52 yards. If Marvin Jones returns next week as expected, Ellington's target count could go down again. A Thanksgiving showdown with the Bears isn't the ideal time to chance playing him, so you'll need to monitor Jones' injury status closely. Aside from being the only healthy receiver left in Oakland aside from Seth Roberts after Brandon LaFell apparently ruptured his Achilles, Ateman made his presence known in his first appearance of the year. The seventh-round pick came up with a huge play in the last two minutes to help the Raiders earn their second win of the year. Ateman could get more opportunities over the last few weeks of the season, as the team is obviously playing for the future and has few other options in the passing game. He's not a speed burner (4.62 40 time) but at 6'4" he could high-point the ball and become a factor in the red zone. It was a predictable drop-off for Heuerman after his career-best game before last week's bye. He did catch four passes for 20 yards. The Broncos spread the ball around, with four players within one target of each other for the team lead, including Heuerman at five. He is at the high end of the TE2 spectrum and might be the best of the free agent options to replace Travis Kelce in Week 12. Why are we talking about Brate again after he caught just two balls for 16 yards? First, Jameis Winston is back and we know he loves him some Brate. Second, O.J. Howard suffered an ankle injury and was just placed on Injured Reserve. This means more targets and possible red zone chances for Brate. He is still a touchdown-dependent player given the number of options in that receiving game, but one that could emerge as a viable streamer this week. Smith jumped up to a season-high six receptions in Week 11, serving as one of the Titans primary options. The concern over Marcus Mariota's hand injury could trickle down to the receivers, though. If Mariota doesn't play or is less than 100%, we've seen how that played out earlier in the year and it wasn't good. Smith is someone to keep an eye on but it can't be assumed he'll match this type of output on Monday night against Houston with the questions surrounding his QB. We would be remiss to ignore Herndon, even if we don't know who his QB will be this week. Herndon had a three-game TD streak earlier this year and has averaged 42 yards per game over the last five. If your waiver wire is thin and you need a streamer to replace Kelce this week, Herndon could be a better option than Smith. Where did that come from? The ageless one posted a season-high five receptions for 80 yards along with his second TD of the year. Gates can't be relied on, seeing as how he hadn't crossed the 50-yard mark until Week 11, but this is a reminder that he's still out there. You'll keep seeing the Colts on here each week as their favorable schedule is helping their defense look quite a bit better than it may actually be. Nevertheless, they deserve a ton of credit for shutting down the Titans in Week 11 and holding them to just 10 points. They racked up five sacks on the Marcus Mariota/Blaine Gabbert combo while picking off each QB once. A home game against Brock Osweiler makes the Colts a surefire top-10 defense this week and a streamer to add if you don't already own a top-rated defense. If Ryan Tannehill manages to suit up, that shouldn't scare you away from them either. If Indy isn't available on your league's waiver wire, Dallas is an easy second choice. They get a Turkey Day matchup with the Redskins, who are down to their backup quarterback and are still without Chris Thompson and half their receiving corps. The Boys have bounced back strong from their MNF loss to Tennessee in Week 9, holding down high-powered pass offenses of the Eagles to 20 points and Falcons to 19 points the last two weeks. As usual, the turnover upside is limited, with just two INT and two fumble recoveries the last three games, There should be a few sacks at play here and leagues where point totals are more heavily weighted could benefit from this defense. The Bills have been a surprisingly decent defensive unit despite a lack of premium talent. Sean McDermott should get more credit for at least making this team competitive despite the revolving door at quarterback. Buffalo is a middle-of-the-road team in terms of sacks and turnovers but a matchup with the Jaguars certainly helps their projected stock. The Jags should again employ a run-heavy attack, so there may not be any Blake Bortles pick-six specials in store. An implied low point-total keeps Buffalo on the radar in leagues where that matters.